Morning coffee rituals say a lot about your household. I don't think this is a reach; In my first marriage, our home brews were never good enough. We went through dozens of high-end to low-end makers, brands of beans, a range of grindings, even types of water for brewing. But the 'jo never tasted right. Near the end, I would jump out of bed extra early just to run downstairs to the local cart man to get his freshly brewed cup. For some reason, the 75 cents of brown stuff boiled in the back of a truck always tasted better than the coffee we made here at home. In recollection, I can't be sure the cart guy had some special touch. But I do think there's something to be said about the general dissatisfaction: It wasn't just the coffee-making, but the union, that was never just right. Fast forward to 2007: Was it a sign I was dating a better match when my now-hubby actually brought me down to a shoppe in the Meat Packing District to pick up a French press exactly like his? (Almost exactly; his was a slightly dinged up carafe that he bought in London). 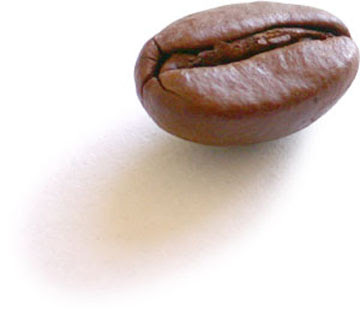 Today, we drink coffee that is consistently rich, full-bodied yet mellow, and never bitter. Make up the metaphors as you want. And now there's another reason for a great cup of java. Specifically, four or more cups a day. A new study published today in the medical journal Circulation shows that high intake of coffee can lower a woman's risk for stroke. The researchers suggest that the reason may lie in the phytochemicals that exist in the beans; they may help improve the function of the walls of blood vessels by relaxing them. It may also be that caffeinated coffee helps lower the amount of C-reactive protein (an inflammatory marker) in the blood. Either way, having a reason to not jump out of bed and out of the house each morning upon awakening can help lower a woman's stroke risk too. Can You Lose While You Schmooze?